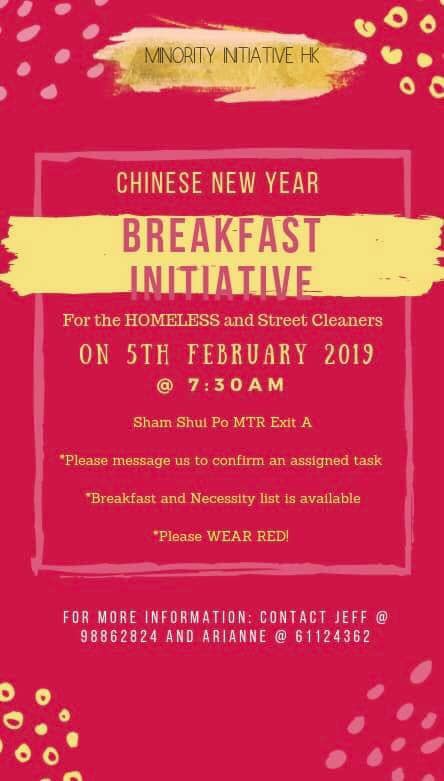 Serve a warm breakfast and hand out red packets, blankets, socks and donated items to the homeless and street cleaners. 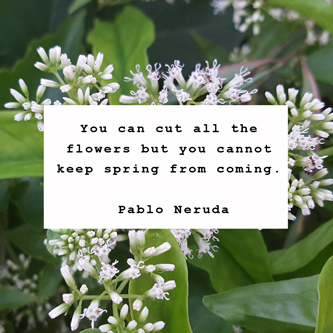 In a non-stop city like Hong Kong where people work hard to make ends meet, it is during Chinese New Year when we finally take time off to enjoy family time. But the city doesn’t stop entirely and there are many minimum waged street cleaners sweeping away and keeping Hong Kong clean. Some are reaching retirement age but have to keep going to pay rent and many homeless street sleepers remain in parks and subways trying to keep warm and dry. Each year we lift spirits by providing a nice warm breakfast, some Lai See red packets and blankets, socks and other donated items. 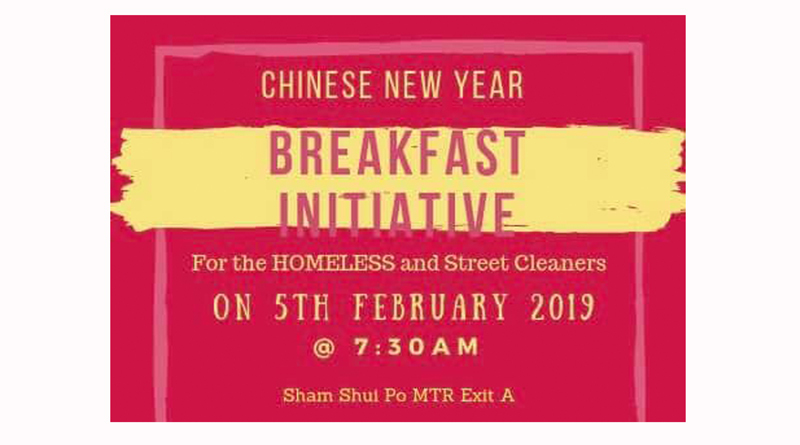 Share the love with the unsung heroic street cleaners and often neglected homeless folks of Sham Shui Po.